As we all know, it’s perfectly normal and common for employees who want more money in their weekly Salary, to hire 2 guys from Africa to dump bleach on them, we all know that bleach stains on your clothes garners more SALARY. Kamala Harris was pushing Anti-Lynching Legislation, she then needed something in the News to promote that she is able to “get Legislation pushed through”, and she needed something to deflect attention AWAY from Cory Booker’s big Presidential news which was only days away…. 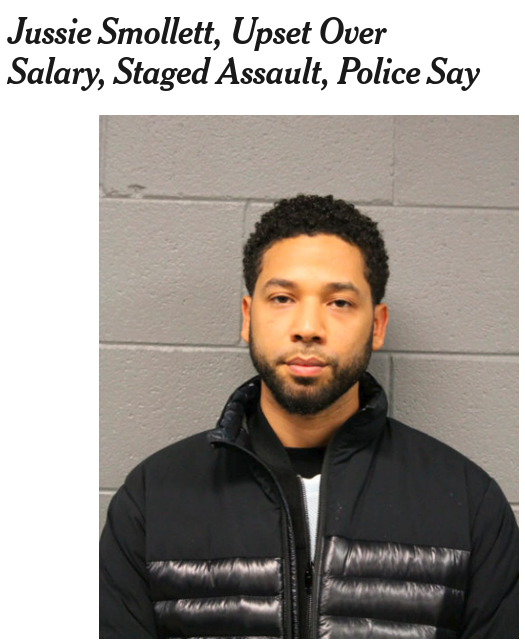 she needed the News Cycle all to herself before February came around… and along came Jussie being attacked on a sidewalk. I’m not falling for the “not enough salary” excuse.